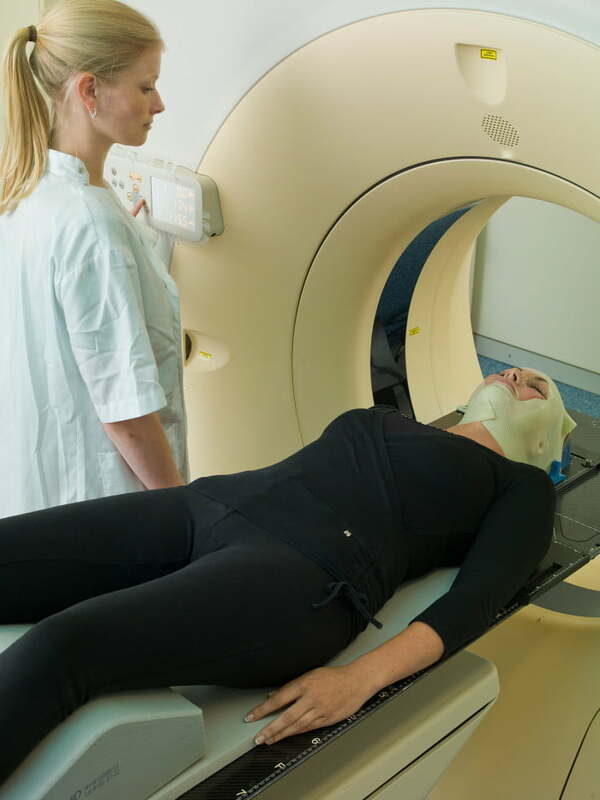 Patient immobilization during brain tumor radiotherapy is achieved by using a thermoplastic mask. In a study conducted by the Universitätsklinik Bonn, two innovative new mask systems developed to minimize the problems of claustrophobic patients (Crystal and Open Face Mask, both from Orfit Industries) were compared to a standard head mask system (Raycast®-HP, Orfit Industries). The aim of the study was to evaluate whether the quality of patient immobilization using the new mask systems was equivalent to the standard mask system currently in use. The study proves that the new mask systems improve patient comfort while providing consistent patient positioning. A superior alternative to a full mask. The Orfit open face mask can be used as a superior alternative to a full mask without sacrificing the precision of the immobilization while increasing patient comfort and the patient’s ability to tolerate the treatment.